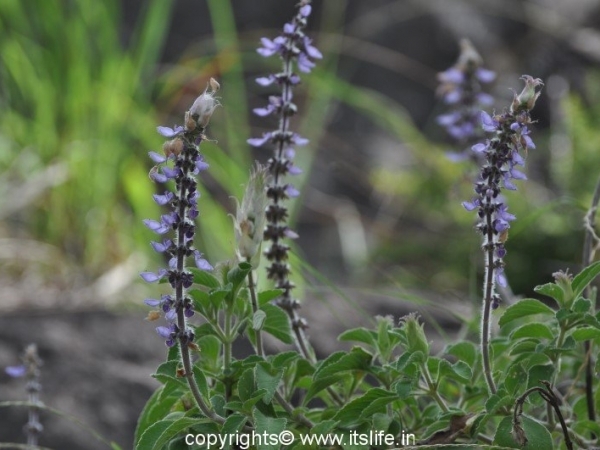 Other common names of Indian Coleus are Makandi, Patharchur, Pashan Bhedi in Hindi, Mainmula and Karmelo in Marathi. 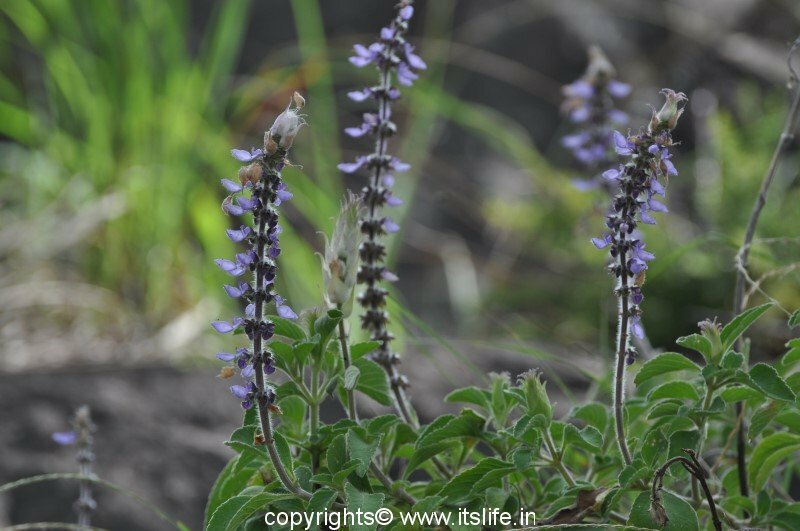 Botanical name is Plectranthus barbatus and belongs to Lamiaceae (Mint) family. 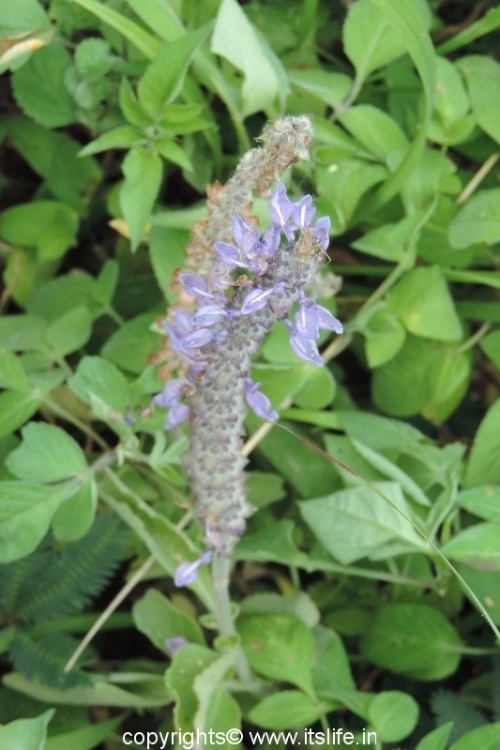 Indian Coleus is perennial plant and is found to grow in the wild in the Himalayas and Western Ghats. 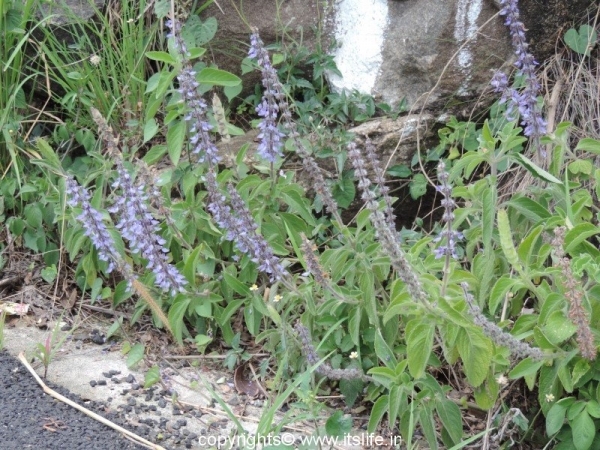 The stalks are covered with hairs. The plant can grow up to 3 feet tall. 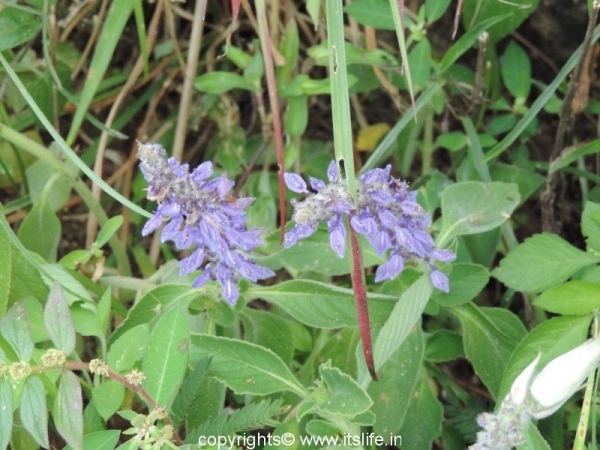 Leaves are green, opposite, oblong, and are around 5 to 8 cms long. 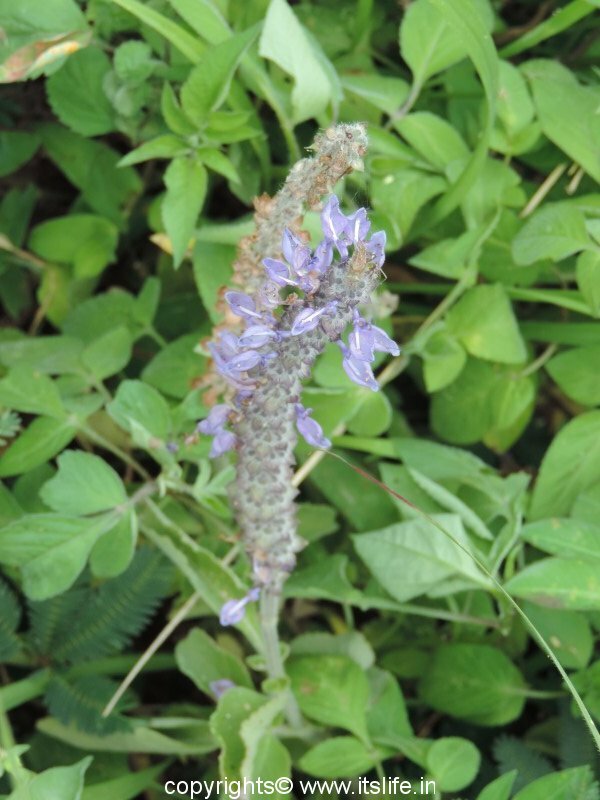 Flowers are pale blue and bloom in whorls around a spike. They are 2 cms long and shaped like a boat. Traditional Ayurveda medicine uses this plant to treat various ailments.